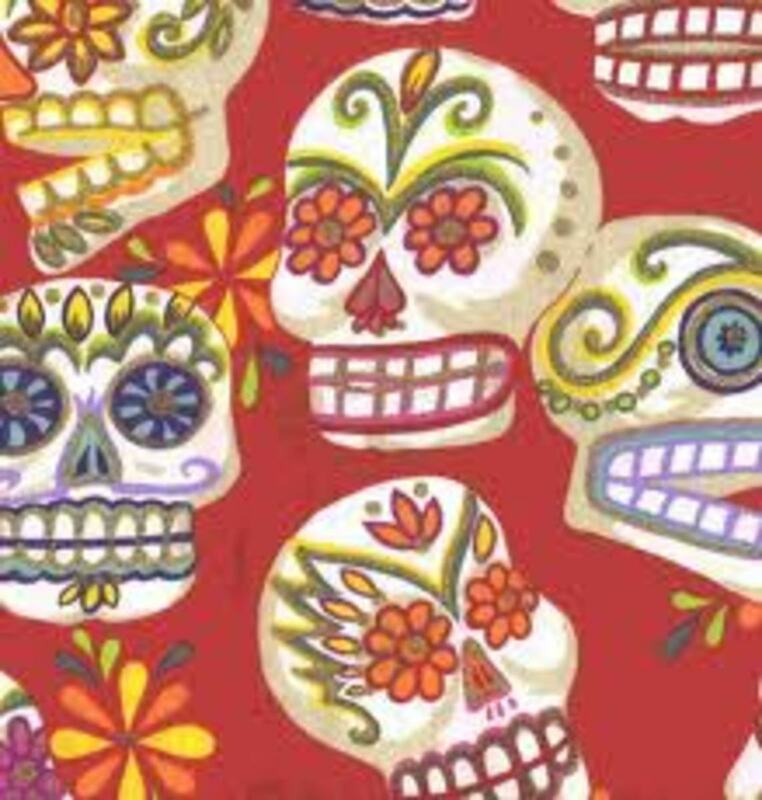 Skulls and flowers have important meanings as part of Dia de los Muertos. 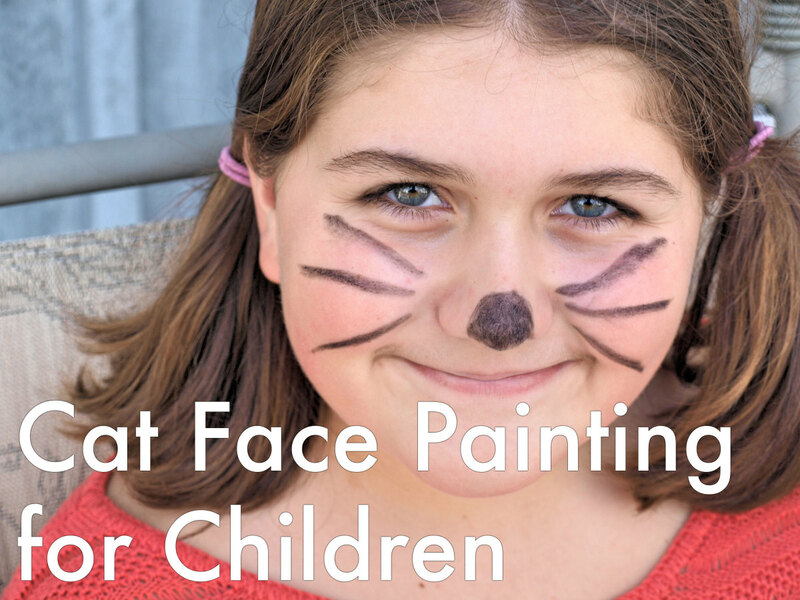 What Do Day of the Dead Face Painting Designs Mean? A mixture of Aztec and European symbolism infuse the meaning of Dia de los Muertos (Day of the Dead) face painting designs. The tradition is a mixture of Catholic beliefs with the religions of indigenous Mexican people. The most common design is to paint the face to resemble a skull. For people not familiar with Latin American culture, this might seem strange and even scary. However, the skull has a uniquely positive meaning in Dias de los Muertos, very different from the skeletons and ghosts of Halloween. The multi-day holiday is an opportunity for families and friends to gather, pray for, honor, celebrate, and remember friends and family members who have died. One of the more common symbols of the holiday is the skull (or calavera), a design which celebrants display in food (sugar or chocolate shaped like skulls), masks called calacas (skeletons), and (most recently) face paint. Skulls. 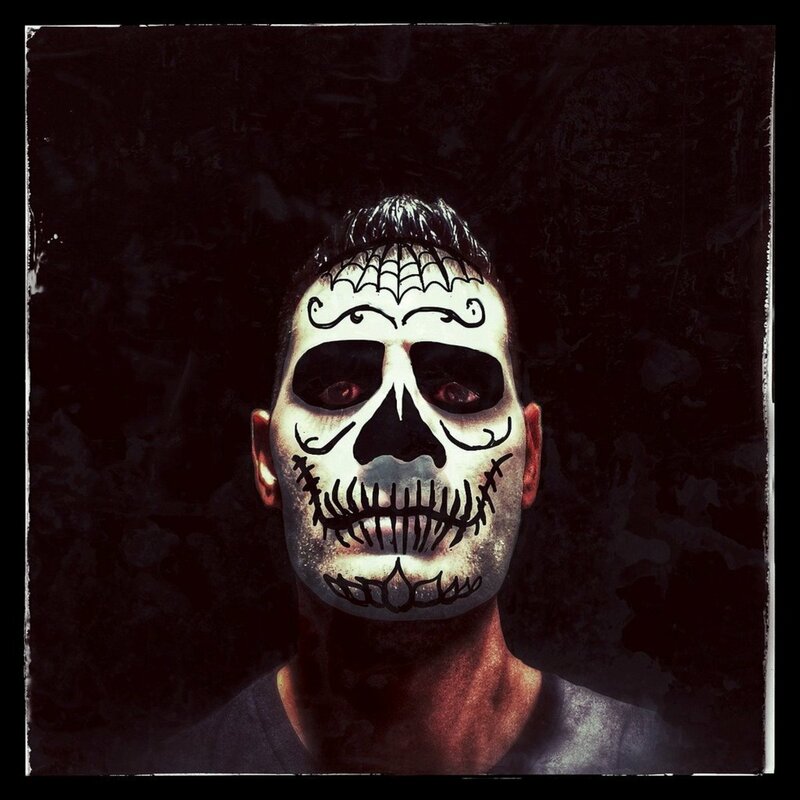 Although the face painting is not exactly an ancient tradition, the calavera design itself is quite old. Skulls– known as calaveras or calacas in Mexico– are an essential part of the symbolism of Dia de los Muertos in Mexico. They are used not only as the basis for painting faces, but also are the shape of candy such as sugar skulls and for many skeleton-inspired decorations. 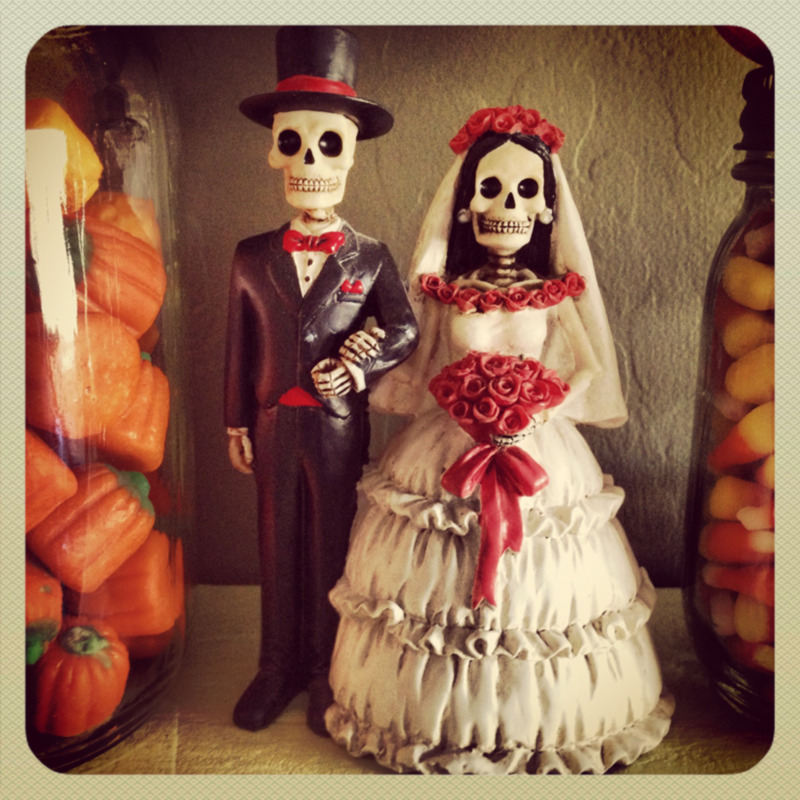 The day of the dead in Mexico is a fascinating mixture of Spanish Catholic and native Aztec traditions and beliefs. Skulls and skeletons were an important part of All Saints Day festivals in medieval Europe, especially since the Black Death ravaged the population of Europe in the 1300s. Across Europe, artists, playwrights, and poets have mused on the theme of 'memento mori' (reminders that we all must die one day) and the 'dance of the dead.' Many artworks and books depicted dancing skeletons or portraits with skull faces. At the same time, in Mexico, the Aztec culture believed life on earth to be something of an illusion – death was a positive step forward into a higher level of consciousness. For the Aztecs, skulls were a positive symbol, not only of death but also of rebirth. People in Mexico wear traditional skull masks, and the tradition of painting faces to look like skulls has grown up as a variation of this practice. Masks have always been powerful objects in many cultures, ones that often allow the wearer to get in touch with their darker, chaotic side. 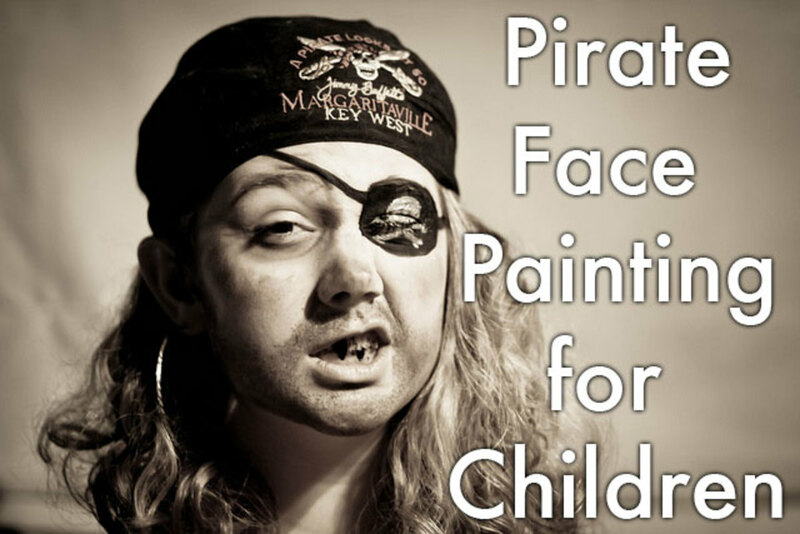 Skull face painting is a chance to overcome fear of death, act recklessly, and get up to the mischief that is forbidden at other times of the year! Dia de los muertos face-painting often mixes skulls with flowers. Flowers are also symbolically important. Many skull designs incorporate flowers, and the one that is most closely associated with Dia de los Muertos is the marigold, or cempazúchitl, which is known as the flower of the dead. In Aztec belief, the marigold was sacred to Mictlantecuhtli, the god of the dead. When the souls of departed family and friends return to earth, it is believed the strong scent of marigold helps to guide them back. Flowers are often incorporated into the face-painted skull designs (and tattoos, for that matter). This mixing of skulls and flowers may seem strange to some, unless you remember their purpose, to overcome the fear of death and celebrate life! 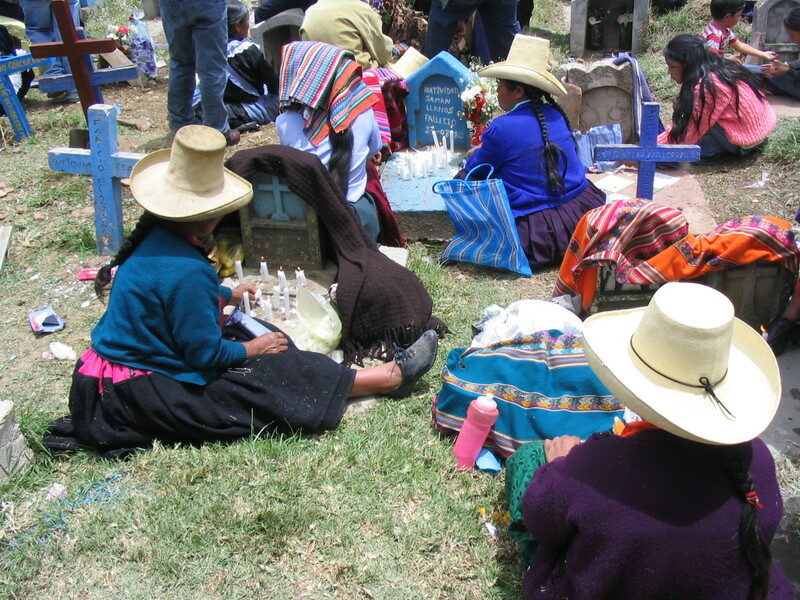 Indigenous people in Peru commemorate Day of the Dead by visiting the graves of loved ones. Skulls may seem neither elegant nor feminine at first glance, but the elegant skull has grown into an important day of the dead tradition. 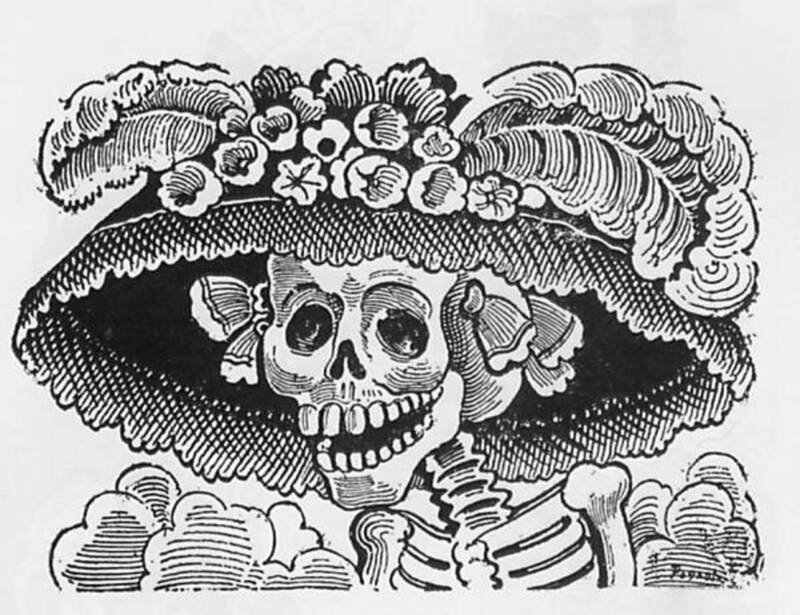 La Calavera Catrina (the Elegant Skull) is a 1913 etching by José Guadalupe Posada. The image shows a skeleton dressed in the finery of a wealthy lady, a reminder that even the rich and beautiful carry death within them. Nowadays la calavera catrina is a source of inspiration for women's skull face-painting which is both scary and beautiful at once. In Mexico, it is common to see 'catrinas' around the time of the Dia de los Muertos. 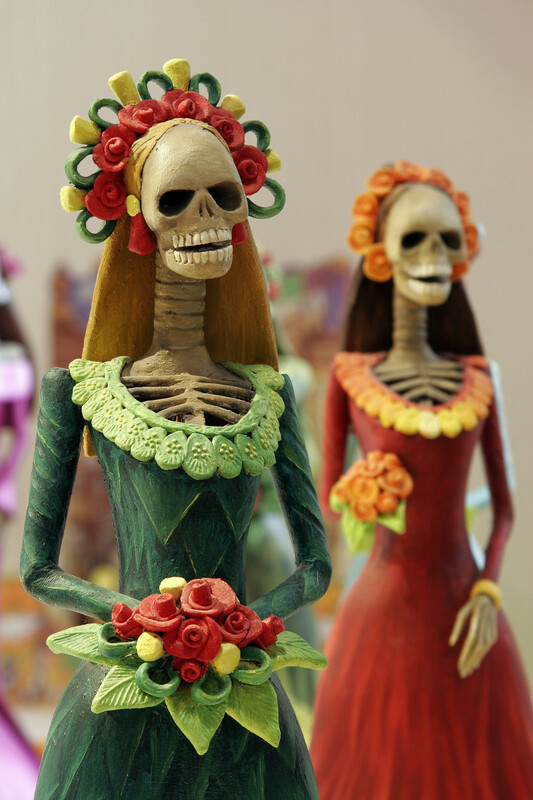 They are figurines of ladies in fancy dresses, but with bare skulls showing under their flowery hats. How do u find source cited stuff on this? I am looking to see if any of the particular shapes they use mean anything. I understand the list of colours and what they represent, and of course, it does mention the marigolds, but the different dots, and swirls and other designs around it, are those just designs or does each shape represent something? why are they sometimes half painted? I am curious to know too...Is there a meaning behind half the face being painted? Is there a special meaning for those who only paint a half face? Me gusta el dia de los muertos! Pienso que es interesante como todos somos difereentes. Asi anidimos valor porque no todos somos la misma persona. 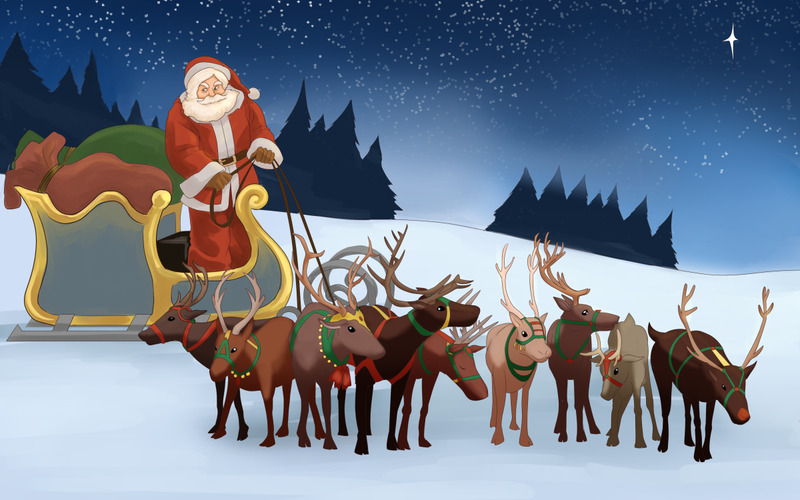 I am glad you did too - thanks for your feedback! Wow,Im glad I read this! 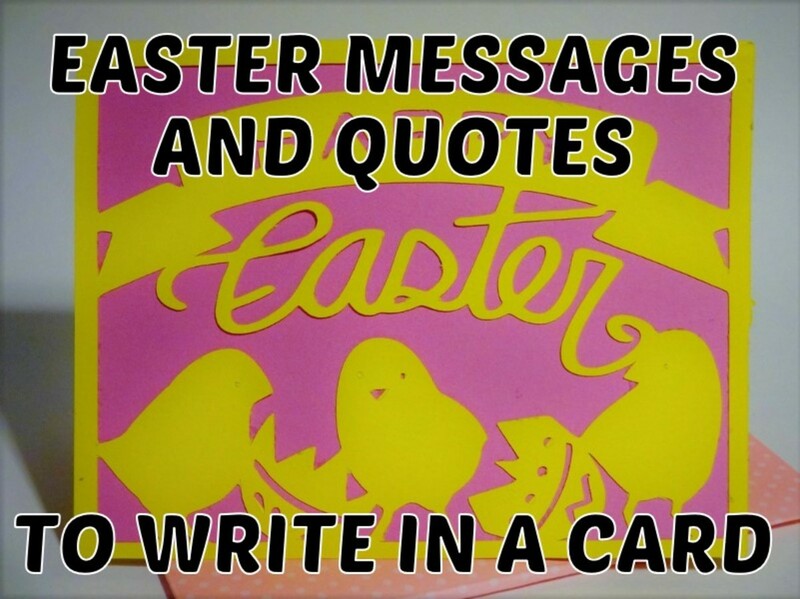 Do you have something particular in mind? Thanks Tina. I'm not the author of the youtube clip but I searched through the options to find a good one - the girl does a good job of explaining it all, doesn't she? 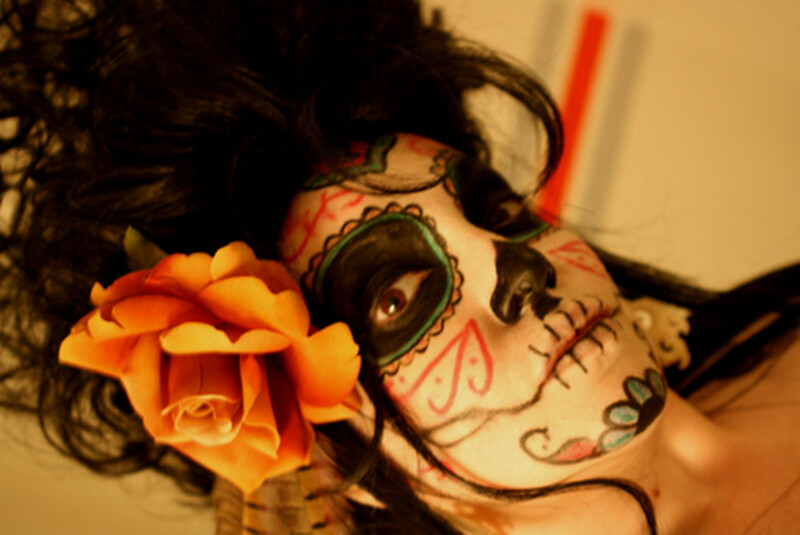 2011 I have watched almost EVERY dia de los muertos sugar skull tutorial on YouTube. 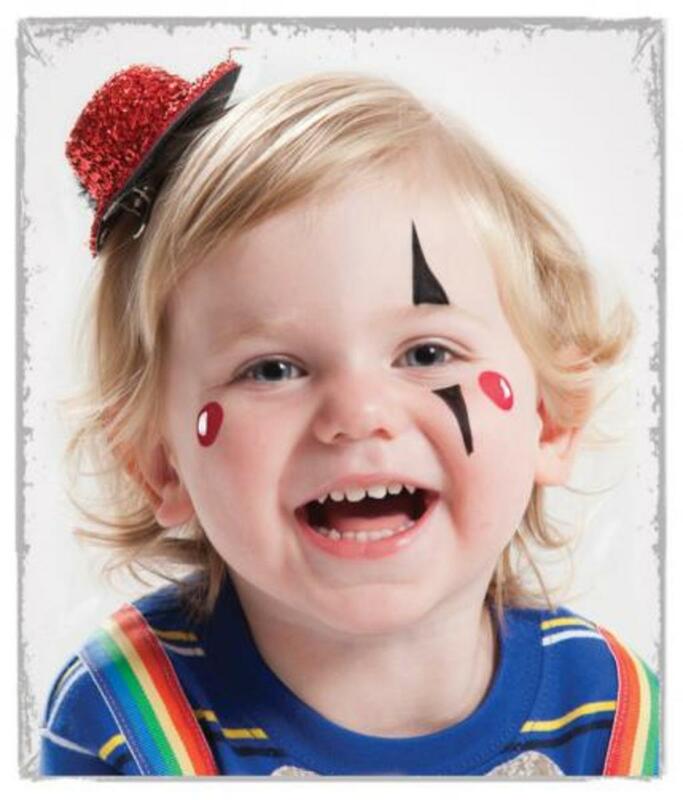 Yours is precious in that you used the most basic and affordable face painting kit. I used that very Klutz kit when my kids were little on 100s of little faces. You demonstrated the beauty of the makeup presented in a simple, doable form. Thank you. I have been trying to find the meaning of the face paint for my tattoo and this was such a helpful article. Thank you!